Cutting and trimming are what occurs during the post printing and finishing process. Although this process may seem straightforward, there is a real skill and process behind it. 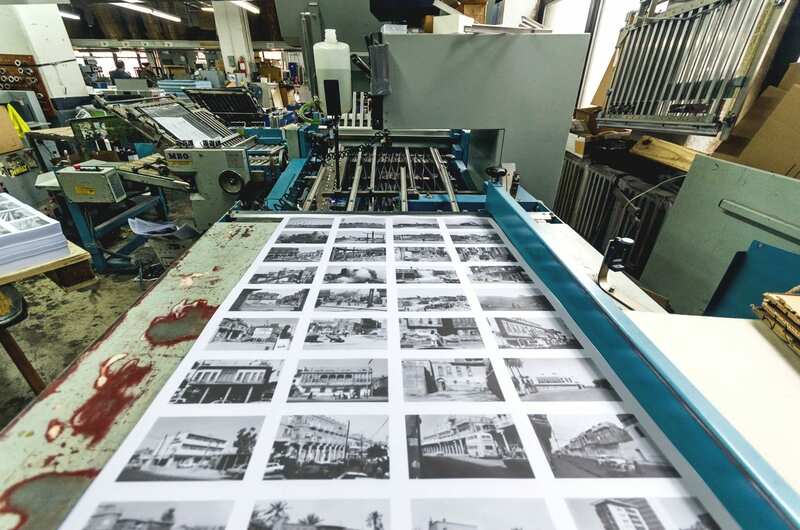 During the binding and finishing operations, cutting and trimming is done in order to reduce large press sheets down to a specific trim size. This includes the process of separating pages that have been stuck to a single sheet, and it also helps to remove extraneous edges. 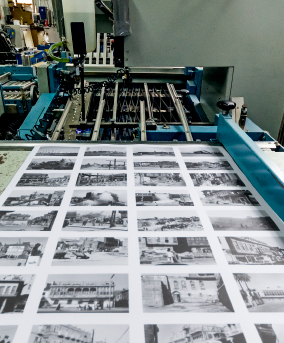 The cutting process is different from the trimming process because cutting means separating pages that were printed together, and trimming is the process of removing excess paper from the sheet edges. Most of our cutting and trimming is done using a guillotine cutter. This is a large device with a flat bed upon which the paper to be cut is stacked, and a long, sharp knife. Depending upon the project, the knife is pressed through the paper either manually or mechanically. A guillotine cutter can also be made from a cutting stick or a piece of wood embedded in the cutting bed directly underneath the knife. Such a cutting stick creates a firm and resilient surface for the knife to press against. This creates a clean cut and prevents the blade from wearing out. Cutting different weights of paper has different requirements. Cutting lighter-weight paper sometimes means that the stack pulls sheets of paper from underneath the clamps. This creates upper sheets that are shorter than the lower lying layers. This is referred to as overcut. Oppositely, cutting harder paper stock, like cardboard, can create an undercut, which is caused by a lack of clamp pressure. In the book binding process, trimming can be performed with three-knife trimmers, which trim the three unbound book sides simultaneously.